We’re a family owned NZ business located in Mt Wellington, close to the major Auckland fruit and ﬂower markets. We began in fruit delivery, but our range expanded over time to include milk delivery, ﬂower delivery and much more. 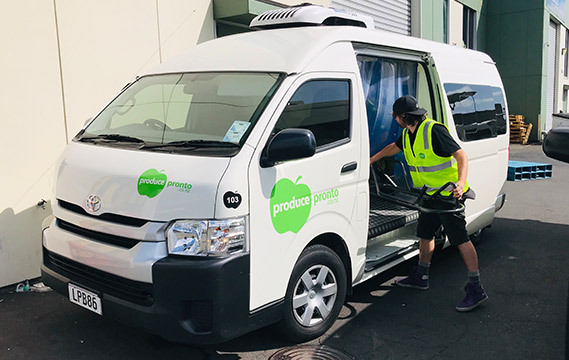 Today our refrigerated delivery vehicles deliver fresh fruit, milk, breads, flowers and other chilled products to ofﬁces across Auckland and New Zealand. We pride ourselves on food safety and have consequently become a NZ GAP approved supplier. Our systems and processes are rigorous to ensure our customers receive only the best produce and service. 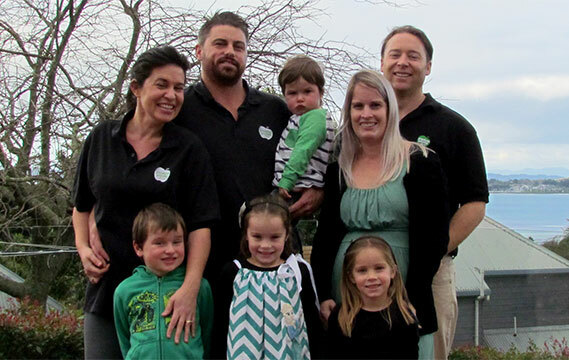 The founding families, Bartley-Smiths and Brennans. In 2014 we branched out into the fruit convenience market supplying fresh fruit and ﬂowers to convenience retailers nationwide such as BP. 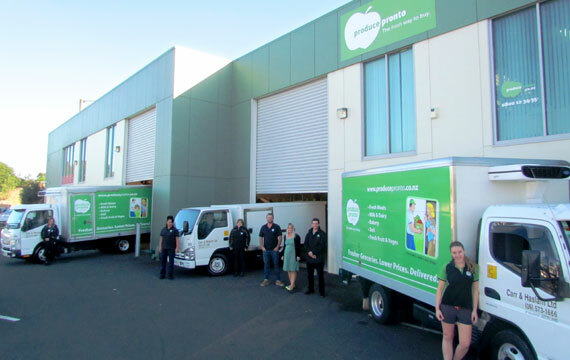 Consumers can now ﬁnd fresh ProducePronto products in most New Zealand towns and cities. Our ofﬁce fruit delivery process has a strict Health and Safety process in place. This along with our fully customisable ordering system sets us apart from the rest. Choose the quantity of fruit you’d like, which fruits to include or to exclude and frequency of orders (daily, weekly, monthly or ad hoc orders). We meet the highest food safety standards. Great value for money – free delivery, no additional charge. Customise your order to suit you, with no contracts to worry about. For your ofﬁce’s fruit delivery, milk delivery and ﬂower delivery. “We wish to advise that we are very pleased with the weekly delivery and quality of the fresh fruit we have delivered each Monday. Our staff are very appreciative of the scheme and the fruit delivered is always fresh and good value for money. Want great value for money for your fresh office deliveries?